A unique rapid deployment barrier. 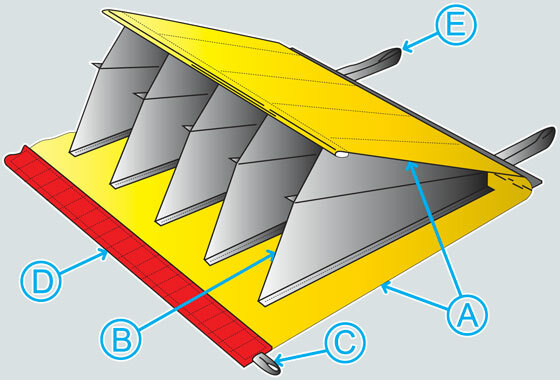 Water-Gate Barriers are a portable self-rising barrier that contains and controls flowing or rising water. 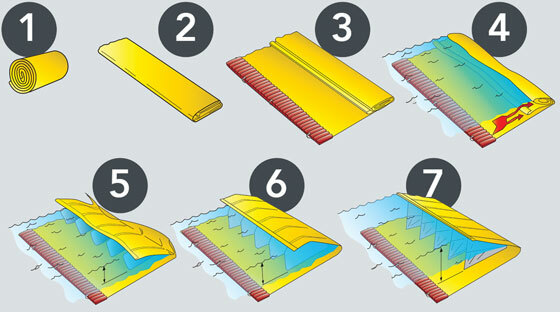 Simply roll them out in desired location including existing watercourses or streams and allow the unique design to control the water. 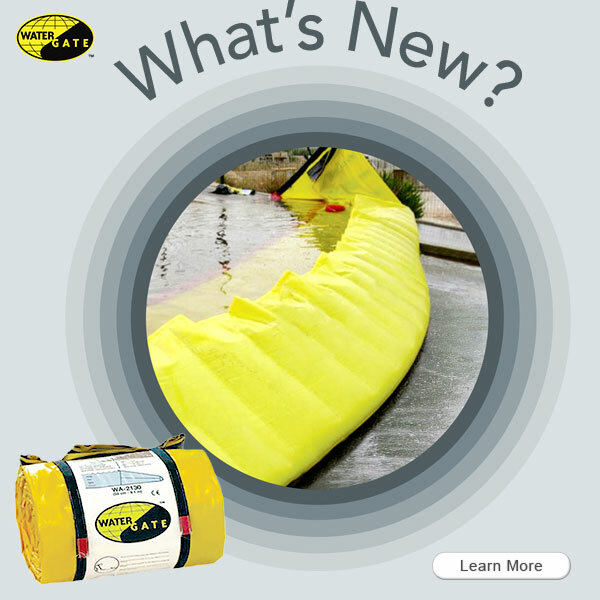 A Polyester fabric coated with super heavy-duty, abrasion resistant PVC suitable for use on all types of surfaces. B Stretched partitions providing better adherence to smooth surfaces. C Polypropylene straps to lift up the ends during specific installations. D Galvanized metal plate ballast weights held in polyester netting sewn to the Water-Gate. E Extra resistant polypropylene straps to facilitate handling.